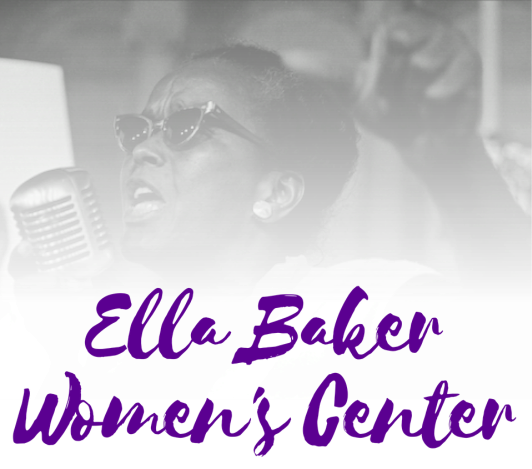 Born on December 13, 1903 in Norfolk, Virginia, Ella Jo Baker was an important behind-the-scenes civil and human rights activist. When she was nine, her family moved to North Carolina, and it was there where Baker would listen as her grandmother told her stories about slave revolts, including her own: Baker’s grandmother was beaten for refusing to marry the man her slaveholder had chosen for her. As a student at Shaw University in Raleigh, Baker challenged school policies she felt were unfair. At the age of 24, Baker graduated from Shaw as class valedictorian. Following graduation, Baker moved to New York City and got involved in social activist organizations, like the Young Negroes’ Cooperative League in 1930. The organization’s purpose was to develop black economic power through collective planning. Baker would become the group’s national director. During this time, she would also become involved with various women’s organizations, such as regularly attending lectures at the YWCA. In 1940, Baker began her involvement with the NAACP as a field secretary. From 1943 to 1946, she served as director of branches. Drawing inspiration from the Montgomery bus boycott, Baker co-founded In Friendship in 1955, an organization which raised money to fight the Jim Crow laws in the South. Just two years later, in 1957, Baker would move to Atlanta to help Martin Luther King, Jr. organization his new group—the Southern Christian Leadership Conference (SCLC)—and to run the Crusade for Citizenship, a voter registration effort. In 1960, Baker found a new call to service. On February 1 of that year, four African American students from North Carolina A&T University went to a Woolworth’s lunch counter in Greensboro. The lunch counter was segregated: The stools were reserved for whites, and blacks were forced to stand and eat. Although they were refused service, they continued to sit at the counter. Over the following days, more and more students from colleges and high schools, men and women, showed up at Woolworth’s to participate in the sit-in protest. Baker wanted to help these new student activists. And so, in April, she left the SCLC and organized a meeting at Shaw University for the leaders of the sit-ins. It was from that meeting the Student Nonviolent Coordinating Committee (SNCC) was formed. The 1961 Freedom Rides were organized by members of SNCC and activists from the Congress of Racial Equality (CORE). Like the sit-ins, the freedom rides were another form of protest which followed the Gandhian theory of nonviolent direct action. In 1964, Freedom Summer, an effort to raise national attention to the discrimination and racism taking place in Mississippi and to register black voters, was created with help from SNCC. Under Baker’s continued guidance and encouragement, her behind-the-scenes work, SNCC emerged as one of the foremost advocates for human rights in the nation. She acquired the nickname “Fundi,” which means “a person who teaches a craft to the next generation” in Swahili. Baker remained active in human rights (speaking out against apartheid, speaking on behalf of the Puerto Rican independence movement, allying herself with groups like the Women’s International League for Peace and Freedom, etc.) until her death on December 13, 1986.